Will there be any other pupils in the car with me? This depends totally on the pupil, as everybody is different. The DVSA say that those who pass their driving test have had on average about 45 hours of professional training combined with 22 hours of private practice. However, age and circumstances play a great part affecting the ability to learn. Gravy Driving School has had many satisfied clients who have taken a lot less than the average quoted by the Driver and Vehicle Standards Agency. The most important factor for maximum success is the willingness to learn combined with a reasonable continuity of lessons. Some schools use ´PDI´s (practising driving instructors). These are registered instructors but who have not yet passed the final part of their instructors test and not fully qualified. These will display a pink triangular sticker in the car window. I am a fully qualified instructor, Grade A, and as such, display a green, hexagonal sticker in the car. Of course you can. The less time between lessons will help you learn quicker as you will need to spend less time acclimatising yourself to the car each time. The optimum way to learn to drive varies from person to person but we find that for most people, a 2 hour lesson each week to be beneficial. Please call to discuss availability. We will keep track of your progress on your very own personal progress card and discuss this with you as appropriate. We will let you know when we feel you are ready to start thinking about booking a test. You must be able to drive consistently well, with confidence and without help or guidance from your instructor. If you can't, you are not ready for your test. Waiting until you are ready will save you time and money. I am looking for cheap driving lessons? So are thousands like you! Prices vary considerably between driving schools, but so can the length of the lesson (between 45 minutes and a full hour). Please remember that the cheapest may not be the best. If a driving school has cheap driving lessons it may be worth asking why they are so cheap? Expect to pay £26 to £30 for a good quality driving lesson that lasts a full hour. Can I take lessons with you in my own car? 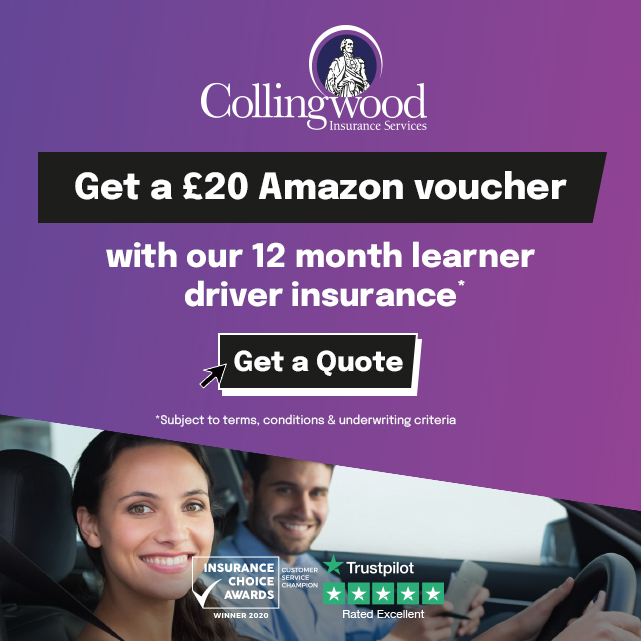 Provided that your car is roadworthy, properly taxed, insured and displaying 'L' Plates, then one of our instructors would be happy to take you for driving lessons in your own car. You will also be able to take your practical driving test in your own car. Who can accompany me to practice in my own car? Anyone who is over 21 years old and held a full UK (or full EC/EEA) licence for over 3 years can sit in the passenger's seat and help you with valuable practice. Please remember to PRACTICE the good habits you have learned from your instructor as it is unlikely that anyone except an Approved Driving Instructor (ADI) would have the experience, knowledge and training to teach you properly. Learning safe habits form the start will improve the safety of yourself and other road users. What is the waiting time for the practical driving test? This can be anything from 1 to 19 weeks and is dependent on which driving test centre is chosen, and at what time of year the test is taken. Some driving test centres are more popular than others, and of course it tends to get rather busy during school holidays. How long do I have to wait before I can re-take my test? For the theory test you will have to wait a minimum of 3 clear working days before being allowed to re-sit the test. If you fail the practical test in a car, you must wait 10 clear working days before another attempt. Do my driving lessons have to be at the same time every week? No. We understand that your activities can change each week so we try to accommodate an appointent time of your choice, subject to availability. Can I start driving before taking my theory test? Yes. Having driving lessons will actually help with your theory test. However, you must pass your theory test before applying for your practical driving test. Can I have the same instructor for all my driving lessons? We endeavour to supply the same instructor throughout your driving course. On rare occasions we may have to provide a different instructor due to illness or other unforseeable circumstances. Where can I take my driving test? We usually use Sidcup, Erith, or Belvedere because our clients live in the vicinity of at least one of these test centres. If you wish to use a different test centre then please contact us as we are always willing to help. Can I do an intensive driving course? Yes, but we must stress that this is not a shortcut and you still have to learn the same amount. We ONLY have automatic cars. We find that more people are using automatic cars as they are much easier to drive than manual cars. No changing gears gives more time to concentrate on other important aspects of safe driving. This in turn lets the pupil learn that much quicker, thus saving money. We accept cash, major credit / debit cards, contactless, Apple Pay and Android Pay, all processed in-car. Do the driving instructors smoke in the tuition cars? None of our instructors smoke. According to the law, all company vehicles that are used by more than one person must be smoke free with no smoking signs clearly displayed. We have no problem with pupils who smoke, just not in the car. Can I use my foreign driving licence to drive legally in the UK? This really depends on each driver's situation, e.g. the issuing country of the foreign licence, whether they are students or visitors to the UK, etc. Please check www.direct.gov.uk for details. How do I book my Theory Test / Practical Driving Test? We really recommend you book these tests direct via the DVSA website. The links can be found on our resources page. Unfortunately too many people have been ripped off by rogue companies who claim they will book your test but will, in fact, take your money and run.... BEWARE!